“Dental x-ray exams are safe; however, they do require very low levels of radiation exposure” (Source: American Dental Association). 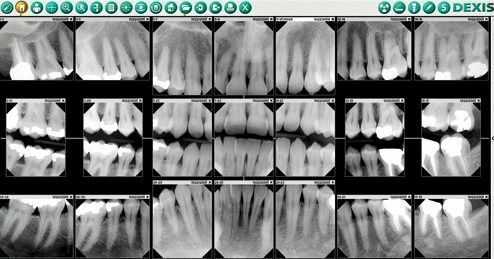 Advancements in dental radiology introduced digital dental x-ray technology in the early 2000’s. 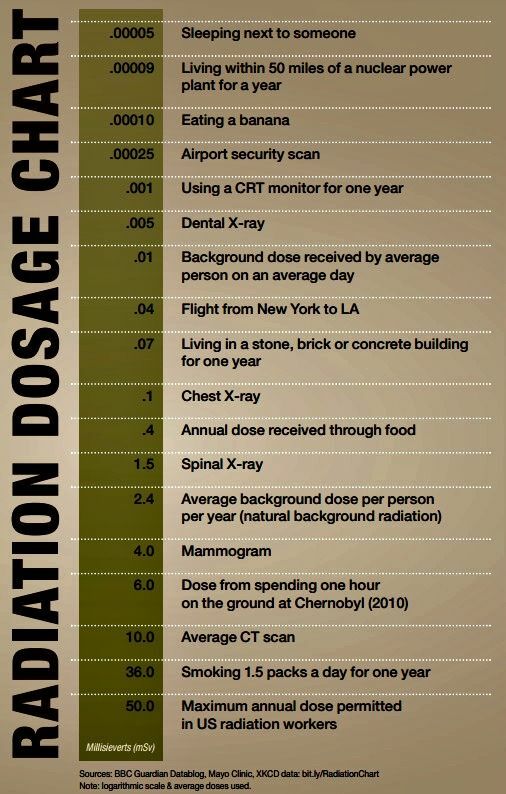 Digital x-rays reduces a person’s exposure to radiation by up to over 80% over conventional methods. Dentistry for the Entire Family was an early adopter of this new technology and converted to digital x-rays back in 2004. Digital dental x-rays are amazing! No stiff, pokey, cardboard like film packets. Instead, a small, thin digital sensor with rounded corners that is operated using a computer. The tube head (part of the x-ray machine that sits next to your cheek during an x-ray) innards have been rewired for digital x-rays. 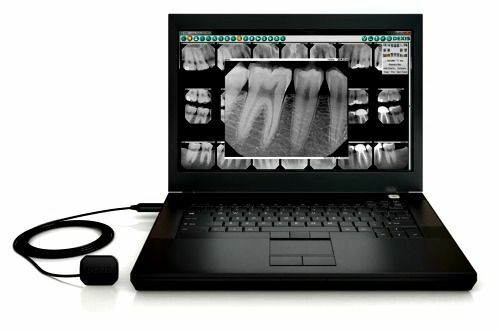 When the dental clinician presses the exposure button, digital images are rendered within seconds following exposure on a computer monitor as shown above. Digital x-rays reduce radiation exposure to patients by up to 80% compared to conventional film packets. Bitewings, also known as decay detecting x-rays are taken to enable the dentist to look between your back teeth for tooth decay. These surfaces are highly susceptible to dental cavities and are not visible to the dentist during your visual dental examination. Frequency or interval for when bitewings are prescribed is determined by an individual’s caries risk factors. BWX x-rays require the patient to gently bite together on a piece of plastic in place that contains the x-ray sensor for a brief second till the dental clinician can press and release exposure button. Moments later, you’ll be able to view your images on the treatment room computer monitor. BWX’s are considered a series of images and may include either 2,4, or 6 images depending on the patient’s age and number of teeth. 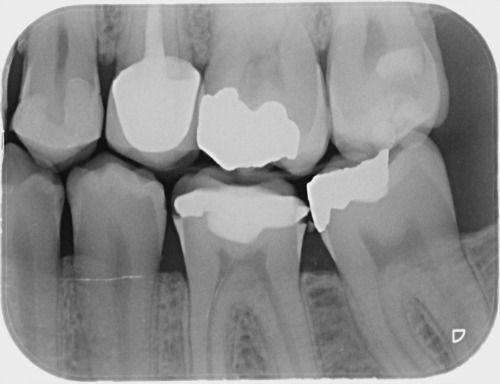 A periapical dental x-ray is a macro image of a single or multiple teeth. The image shows the tooth’s roots and surrounding bone structures. This x-ray enables your dentist to check for the presence of a dental abscess, tissue and/or bone pathology like tumors and cysts and for gum disease. To take a PA, your dental professional will ask you to gently close just enough to hold a piece of plastic in place that contains the digital sensor for a brief second till the dental clinician can press and release exposure button. Moments later, you’ll be able to view your image on the treatment room computer monitor. A full mouth dental x-ray is a baseline x-ray series of bitewings and periapical images. Collectively, the dentist is able to check all teeth for presence of tooth decay, check the margins of existing dental restorations, dental abscesses, tissue and/or bone pathology like tumors and cysts, gum disease. Full mouth dental x-rays are typically updated every 3-5 years as prescribed by your dentist. 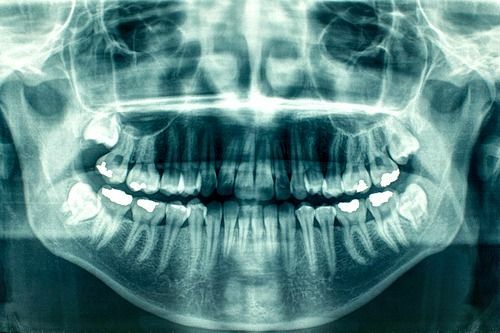 A two dimensional x-ray image that captures the entire mouth in a single image. The image shows the teeth, upper and lower jaws, and surrounding structures and tissues. A panoramic x-ray requires specialized equipment that predominantly only by dentist specialists: orthodontists (dental braces), oral surgeons (tooth extraction), and periodontists (gum disease). The procedure to take a panoramic dental x-ray requires the patient to rest their chin on a platform while lightly biting into a grooved plastic piece that denotes the center of your mouth and props your mouth open slightly. 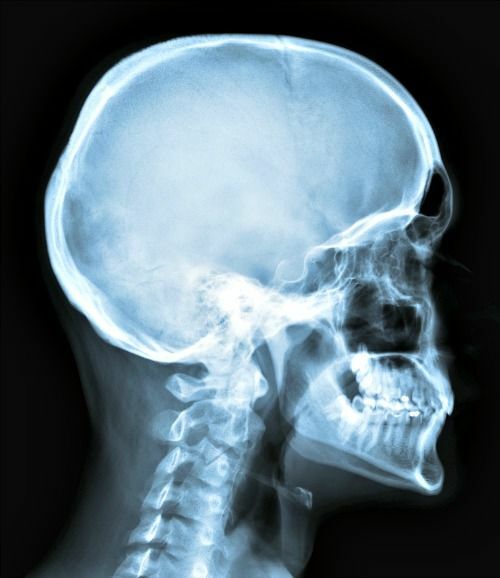 A two dimensional x-ray image that captures images of the entire skull and side profiles. Ceph images are taken using a panoramic machine and is most often used by orthodontists during treatment planning for dental braces. Dental x-rays are a valuable part of a dental treatment plan because they can detect problems not visible during the visual clinical examination. For this reason, dental x-rays are a required and essential component of dental care. The American Dental Association in collaboration with the Food and Drug Administration developed dental x-ray prescription recommended guidelines for dentists. Dental x-rays frequency is determined by an individual’s risk factors. Dentistry for the Entire Family uses state of the art digital dental x-ray technology to help minimize your exposure to radiation and follows ALARA Principle set forth by the Health Physics Society. ALARA stands for As Low As Reasonably Achievable. Q. Are dental x-rays covered by my dental insurance? A. Most dental insurance plans cover dental x-rays; however, some insurance carriers have defined intervals regarding coverage. Q. Do you take x-rays if I’m pregnant? A. No, unless you’re experiencing a dental emergency that requires a definitive diagnosis in order to resolve tooth pain and/or infection which could harm the fetus. Q. Do you take x-rays if a person has dental braces? A. It depends. If the patient has an intact metal arch wire, then no..the arch wire prevents the tooth from being able to detect tooth decay between the teeth during braces. The patient’s orthodontist will alert you or the parent if patient is a minor about any areas they detect while periodically changing the arch wire. If any areas are suspect, the orthodontist will encourage that the patient have their arch wire removed preceding their upcoming teeth cleaning appointment with their dentist. Afterwards, the patient will require an additional appointment with the orthodontist to have the metal arch wire fitted and placed. Q. At what age do you start taking dental x-rays? A. As soon as your child’s first permanent teeth begin to erupt and are visible in the mouth. 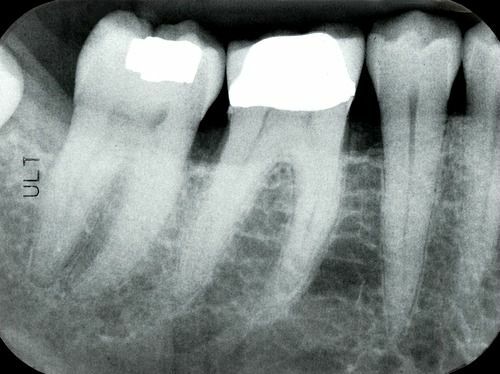 Q. Argh….I’m a gagger and dread having dental x-rays taken, can I elect to have x-rays less often? A. Dentistry for the Entire Family’s dentists only prescribe x-rays when they are absolutely necessary. Our experienced dental team has several tips and tricks to help minimize gagging during x-rays. We also use digital x-ray technology which greatly minimizes the exposure time. Additionally, our digital sensors have smooth, rounded corners, no pokey edges. Q. Will you accept dental x-rays taken at another dentist? A. Yes, provided they are of original quality and are diagnostic. An signed authorization release form is required before your dental x-rays can be transferred. Contact your previous dentist 1-2 weeks before your initial dental appointment with us. Q. Can I choose to not have any dental x-rays taken?